Generally sunny despite a few afternoon clouds. High 73F. Winds SW at 5 to 10 mph.. Partly cloudy. Low near 50F. Winds SE at 5 to 10 mph. Governor C.L. 'Butch' Otter gives his final State of the State address Monday, Jan. 8, 2018, at the Capitol in Boise. Rep. Laurie Lickley, R-Jerome, holds House Seat A in District 25 in the Idaho House of Representatives. Rep. Linda Wright Hartgen, R-Twin Falls, holds House Seat B in District 24 in the Idaho House of Representatives. TWIN FALLS — Three fresh faces will represent south-central Idaho in the statehouse in the upcoming legislative session, all of them women. House seats in Districts 24, 25 and 26 — two of which opened up due to the retirement of longtime representatives — have been filled by newcomers to Idaho state politics, making a total of five of the Magic Valley’s 12 legislators female. In District 24, former Twin Falls county clerk Linda Wright Hartgen will take over the duties of her husband, retiring Rep. Stephen Hartgen, while in District 25, rancher Laurie Lickley takes the place of retiring Rep. Maxine Bell. Meanwhile, in District 26, the seat currently held by Republican Rep. Steve Miller has flipped blue with the election of paralympian Muffy Davis. 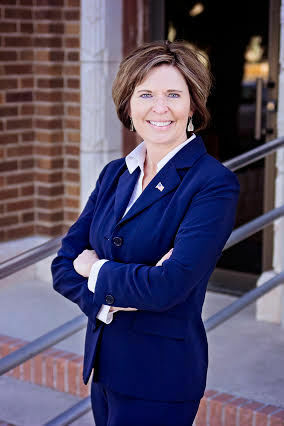 Wright Hartgen, who previously served as county clerk and as trial court administrator for the Fifth Judicial District, has said that she largely aligns with her husband on policy issues, though she’s more of a “people person” and less of a “lightning rod” in a personal sense. As she goes into her first session, Wright Hartgen said, her plan is to “listen and learn,” rather than coming in with any specific bills prepared. While Wright Hartgen doesn’t have any bills of her own in mind yet, she does have several priorities going into the session. One is education funding, particularly the continuation of Idaho’s five-year career ladder, an initiative to boost salaries for teachers. She said she is also looking forward to participating in discussions about how the state will fund Medicaid expansion in the wake of Proposition 2 passing. “Those are things I’m kind of excited to look at,” Wright Hartgen said. While Lickley doesn’t have prior experience in public office, she has served as president of the Idaho Cattle Association and held leadership positions for the Idaho Beef Council and National Cattleman Beef Association. After winning a three-way Republican primary, Lickley didn’t have an opponent in the general election. But things have “certainly not slowed down” since May, Lickley said, especially as she prepares to leave her family’s ranch for three months in the winter. Other top issues for Lickley include the recruitment and retention of qualified teachers and protection of south-central Idaho’s agricultural land, natural resources and water. Davis, a Democrat who defeated incumbent Rep. Steve Miller with 57 percent of the vote, is a new name in Idaho politics — but a well-known figure in the international athletic world. After a paralyzing accident at age 16, Davis went on to become a paralympic skier and cyclist. She has served on the International Paralympic Committee’s Governing Board and worked as a motivational speaker. Health care — and specifically Medicaid expansion — was a centerpiece of Davis’s campaign. Other priorities for Davis include increasing funding for education and the protection of public lands.